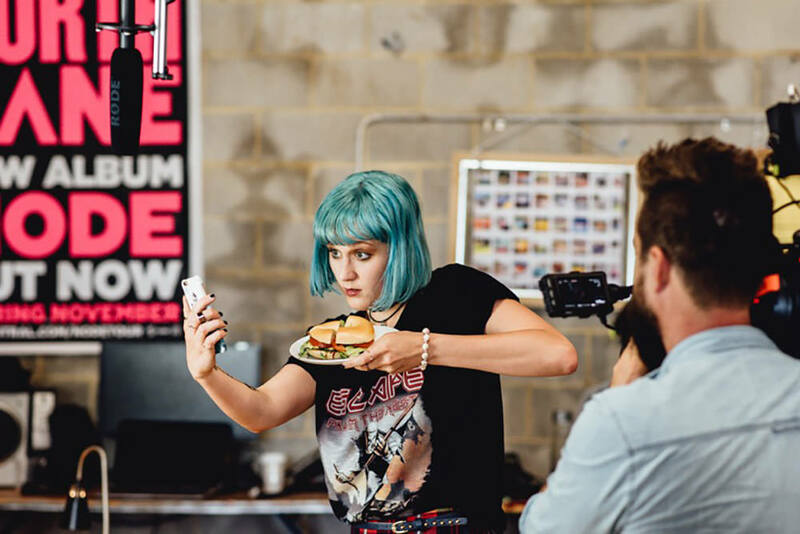 Spontaneous maniacal laughter and sides being split are just some of the effects of watching six-part series’ Wham Bam Thank You Ma’am and Fancy Boy, which are airing on ABC2 and iview and have also sold to US SVOD service Seeso. 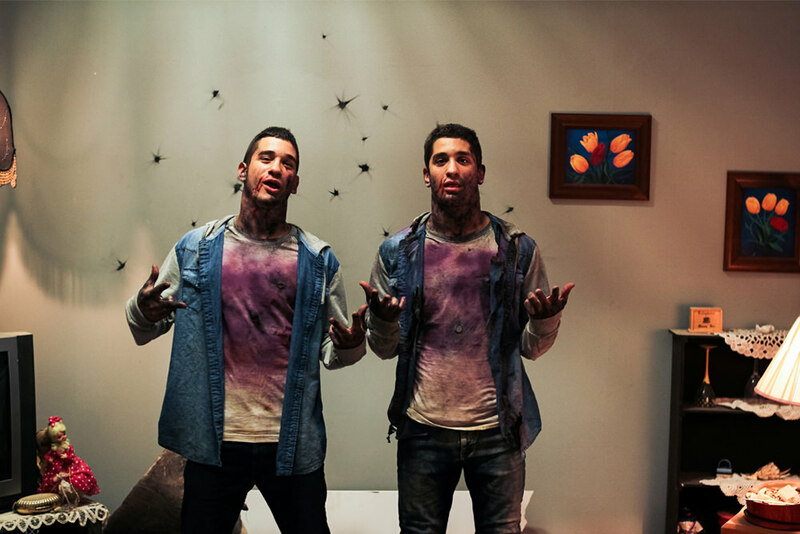 Both series are the first graduates of Fresh Blood – an initiative by Screen Australia and ABC to find Australia’s next big comedy talents. The initiative kicked off with a call-out in late 2013. Over a period of three years, hundreds of applicants were whittled down across the three phases to these two successful groups. (Read more about Fresh Blood here). 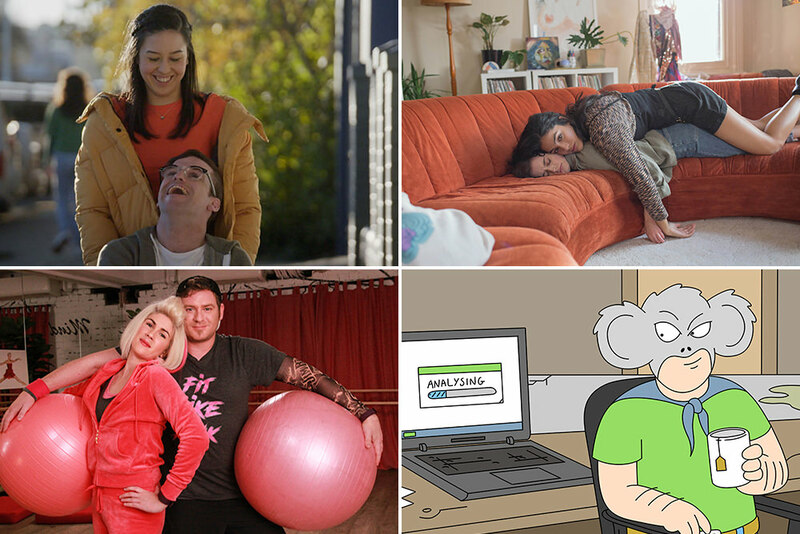 “I hope this changes the expectations of what TV can be in Australia,” says Stuart Daulman from Fancy Boy, a sketch comedy group known for pushing the boundaries with their brand of dark, twisted Australian humour. Fancy Boy, which is both the name of the group and the series, also stars John Campbell, Greg Larsen, Henry Stone, Jonathan Schuster and Anne Edmonds. Fans of the comedy scene would also know them as the Melbourne International Comedy Festival’s Golden Gibbo award-winners in 2014. 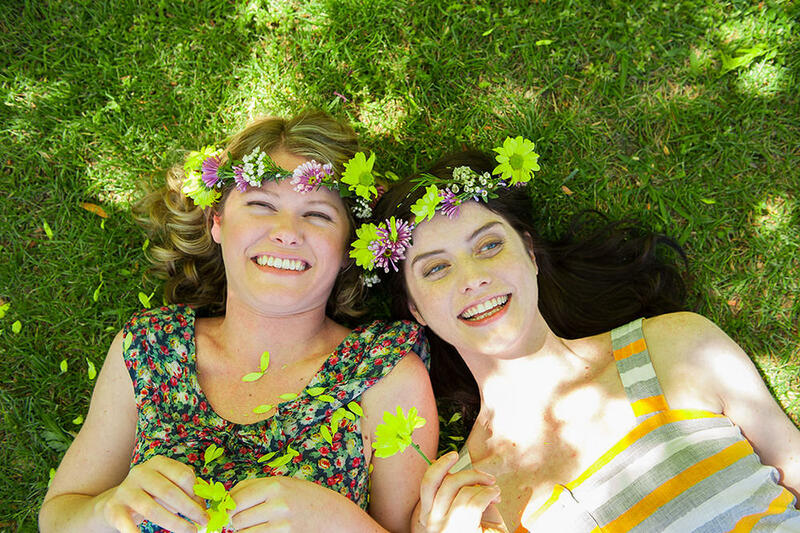 The other series is by an all-female comedy collective Skit Box. You would know them as the trio who brought the lols with their YouTube viral hit Activewear. Made up of actor/writer/directors Adele Vuko, Sarah Bishop and Greta Lee Jackson, they have now brought us Wham Bam Thank You Ma’am. It’s a show that takes the stereotypes and issues women encounter daily and punches them into winning sketches such as I Got That Flow. Vuko remembers being worried to show the ABC executive producers Rick Kalowski, Jon Casimir, and Richard Huddleston some of their material. “Whenever we wrote something that was a little bit taboo, we were a bit scared to show it. But their feedback was always ‘push it more, more, more! That’s what women talk about, so do it! Make us blush!’” she says. The result is a laugh-out-loud series that tackles stereotypes such as scantily-clad superheroines and the Manic Pixie Dream Girl, while in the same breath reversing gender roles to talk about sexism in the workplace with First Male Police Officer and making us laugh at Sharni and Tani – two latte-drinking South African women who talk about quantum physics. Vuko says Sharni and Tani were actually one of the hardest to shoot. The trio share the writing and directing responsibilities, so in this case Vuko (who penned the sketch) was performing with Lee Jackson while Bishop was in director’s chair. “We only had one day in that one location to shoot 13 pages of script,” Vuko says. For context, feature films generally shoot five pages a day. And the actors were wearing “insane” facial prosthetics while talking about quantum physics in South African accents – not exactly the easiest dialogue to learn. “We really had to make sure we knew the scripts back to front, because there was no room to forget anything. We just had to power through it,” Vuko says. On the days when all three would be on screen, they would turn to guest directors such as Kacie Anning (Fragments of Friday), Nikos Andronikos (Crazy Bastards), and Erin White (At Home with Julia) while Michelle Hardy produced. For Fancy Boy, who also shared the writing and performing roles, they brought on Nicole Minchin as producer and 100 Bloody Acres co-writer/director Colin Cairnes to helm the series. 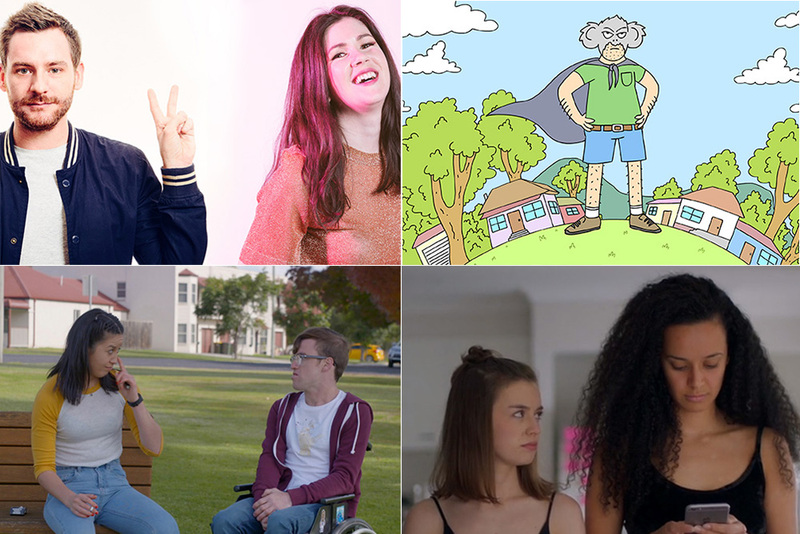 That funny/dark humour is on full display in Fancy Boy in sketches about a racist facing her fears in a kebab shop, a tourist hearing about drop bears… again, and a political candidate wanting to raise the legal age of buggery to 25 – and that’s just the first episode. For both groups what Fresh Blood has afforded them is not only being able to create a television series, but work with a budget, a full crew and, for a time, have a self-sustaining career in the industry. And they’re hungry for more, with both groups hoping a second season is added to their plate. But Skit Box also has even grander ideas on the horizon. Daulman believes there are a lot more original voices coming through the ranks. “There’s definitely a new wave of comedians, who aren’t necessarily huge on YouTube or TV, that are creating great stuff,” he says. Wham Bam Thank You Ma’am and Fancy Boy will premiere on ABC2 on Thursday December 8 at 9.30pm and 10pm respectively with all episodes available now on iview.